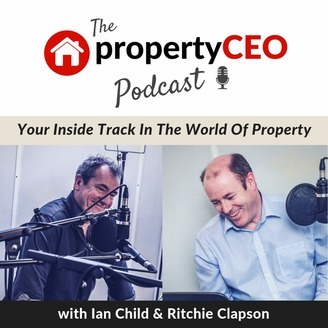 Your Inside Track In The World Of Property. Many property people including developers or landlords make the mistake of viewing interior design as an unnecessary expense. After all, as long as the design isn’t offensive, surely there’s no need to hire an interior designer? Isn’t it something you could do yourself for free? Time to meet Jo Balston from interior design specialists Venture & Flourish. 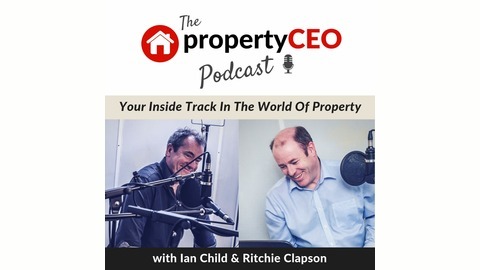 In this episode, Jo not only shows us how an interior designer can help add thousands to your selling price, they can also make sure that your properties are sold or let out much more quickly. Ever wondered which room you should spend the most on or how to make the right use of colour? Jo shares her insights on the common mistakes she sees developers and landlords making, as well as giving us some invaluable tips on what we can all do better. We also get to meet Ritchie’s secret jogging companion from Chelsea, plus Ian manages to dodge an avalanche following a freak catering accident.